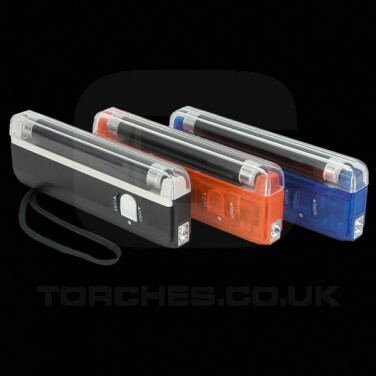 Jam packed with functions this handy 4W UV 6 inch black light tube and torch combined is pocket sized so can be put in your pocket and brought out when the job dictates, and is suitable to perform many an operation or investigation. Whether it is for detecting dirt, dust or ghastly bugs, identifying fraudulent or fake documents, or spotting counterfeit bank notes this product is the one for you. Using the UV light it is also possible to detect smartwater, so any future detectives out there will love trying to spot criminals who have activated this recent creation. The built in torch is also an added extra which will come in handy should you ever need it. You can also look at our range of UV items we have to offer to use in conjunction to this neat little gadget and you can create a glow to anything fluorescent.